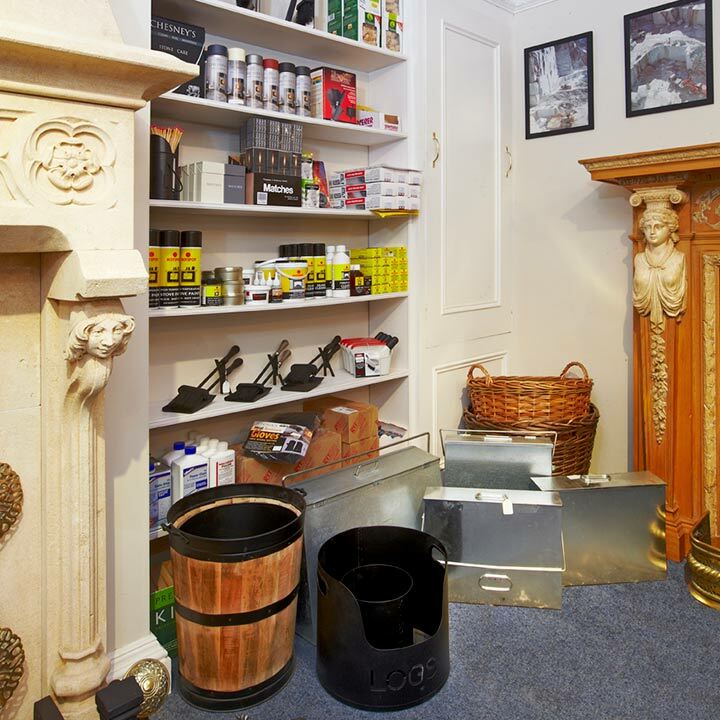 We offer an extensive range of fire accessories to complement your new fire. Antique Original Fire Grates, Hob Grates, Register Grates and Andirons to compliment any fireplace. Most of our range of Fire Grates can be customised to incorporate a coal/log effect gas burner. We also stock a wide selection of Fenders, Tools and Cast Iron Firebacks and Interiors. Care and Maintenance Products for your multi fuel stove - keep your stove looking pristine with our range of care products. Log baskets for your logs and kindling - a variety of designs and sizes are available to view at our Knaresborough showroom. With or without linings. Stove temperature gauges - monitor your stove's temperature to get maximum efficiency and heat out of it. If you require further advice on how best to select the most suitable accessories to suit your fireplace, please do not hesitate to call us on 01423 864805.